The purpose of installing a fence or automated gate is for security and for peace of mind, but that does not mean that a gate has to be utilitarian and bland. The choices of beautiful ornamental gates are rapidly expanding. Originally there were only wooden fences, but now you can purchase steel gates, or Valencia wrought iron gates and fences. There are other options, but they are less for protection and more for aesthetic appeal. There are many reasons to consider gates and fences that are strong and durable, but also beautiful and visually pleasing. A few of those reasons are listed here. The choice to buy and build up a wooden fence can be a great one or can leave you wishing you picked a better material. Getting the right wooden fence will save you from replacing it after 10 years of rot and damage. 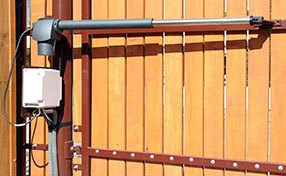 There are ways to repair a rotten gate, but that can be costly. Wood is a very elegant material that will look great in pretty much everyone’s yard. Wood can be simple or ornate, which makes it a great choice if you live in an area with the right conditions. Otherwise choosing wood over Valencia wrought iron gates and fences will leave you with a pile of rot. and certainly cannot have the amount of detail wooden fences or Valencia wrought iron gates and fences can. However there is still a great aesthetic about steel gates that make them a very beautiful choice for your protective automatic gate. They are generally large and imposing, and can prove to be the perfect choice for your lawn. 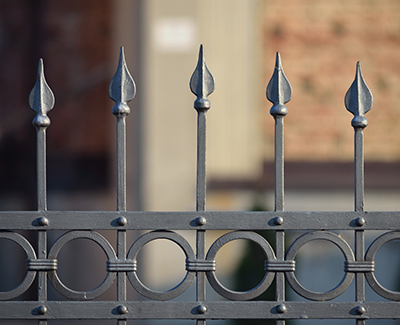 Repairs and maintenance on a steel gate are typically less, though the cost of purchasing a solid steel gate may outweigh the amount you would save. 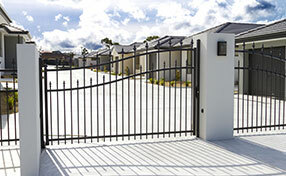 Choosing steel gates has to be the right choice for your home. Finally wrought iron gates are the last of the ornamental gates. Valencia wrought iron gates and fences are beautiful works of art with intricate detailing and wonderful ornamentation. Choosing to install wrought iron gates can make a world of a difference to the entire appearance of your home and lawn. 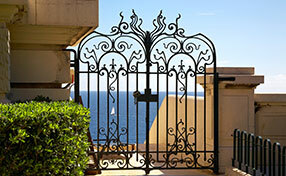 Iron gate repairs are generally simple and take minor welding procedures. A trained professional can help you decide what gates and fences you want in your yard, but never forget that you have to look at them every day. Make the choice to buy ornamental fencing that can defend and protect will looking fabulous.